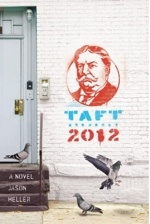 The first book trailer for my new novel–the speculative political satire, Taft 2012–debuted on The A.V. Club’s website in December. It was directed by Justin Lutsky of Epic Image Entertainment, who’s done some amazing work on trailers for previous Quirk Books releases. I wrote the script for the thing, but seeing actual actors, you know, actually acting it out was just plain awesome. When the trailer was debuted, though, a few snarky online commenters felt the need to wonder: What in the hell is a book trailer? And why would anyone want to make such an absurd thing, anyway? Writers, for the most part, don’t find anything remotely absurd about book trailers. Granted, many individual book trailers are absurd. Mine may be one. But the overall concept of filming and disseminating a preview for an upcoming book is sound. Right? Then again, as we enter the glorious future that is 2012, we are apparently surrounded by educated and web-savvy people who still don’t know what book trailers are. Or why. Hopefully, stooping to sarcasm didn’t obscure my point. I’m no expert on book trailers, nor am I any kind of authority when it comes to new media marketing. But I grew up in the ’80s, and back then we had these things called music videos. As mind-boggling as it may seem today, one medium–video–was used to adapt and promote another medium–music. I know, crazy! With the rapid rise of eBooks, the membrane between the printed word and the digital world is getting thinner every day. The operative word here, however, is “rapid.” Book trailers may seem old hat to us writerly types, but it’s good to remember that not everyone keeps up with new media (in all its permutations) at the same pace. For instance: When The Huffington Post debuted the second trailer for Taft 2012 later in December, none of the site’s readers felt the need to challenge its very existence. It was a different audience. Not smarter, necessarily, but maybe a little less snarky–and maybe a little more book-oriented, statistically speaking, than the film-and-TV-leaning readership of The A.V. Club. The bottom line, of course, is this: The readers of The A.V. Club who complained about the very existence my trailer were still talking about it. It’s just too bad those commenters (bless their snarky little souls!) didn’t realize that–by discussing a book they previously hadn’t heard of, even in a roundabout way–they were answering their own question. And proving that the trailer had worked. Exactly as intended. Jason Heller is the nonfiction editor of Clarkesworld. His nonfiction has also appeared in The A.V. Club, where he’s a regular contributor, as well as Weird Tales, Fantasy Magazine, and Tor.com. His debut novel, Taft 2012, will be published in January by Quirk Books; it will be followed later this year by the first book in a middle-grade horror series (to be announced). 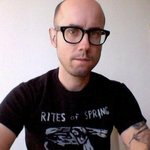 He’s also the author of The Captain Jack Sparrow Handbook, and his short stories have appeared in Apex Magazine, Sybil’s Garage, Brain Harvest, Polluto, M-Brane SF, and many others. Sarina Dorie has sold over eighty-five short stories to markets like Daily Science Fiction, Magazine of Fantasy and Science Fiction, Orson Scott Card’s IGMS, and Cosmos. 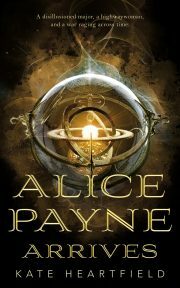 Her novels include: SILENT MOON, DAWN OF THE MORNING STAR, and URBAN CHANGELING.